We offer cold press mounting services for photographic prints and other media on a variety of substrates including: Aluminum, DiBond, EPanel, AF Foam Core, Gator and Museum Rag Board using acid free and pH neutral adhesives. You can refer to our Price Guide below to see the other substrates we offer. If you are looking to mount on a substrate you do not see listed on our pricing guide below please get in touch and let us know what you have in mind. 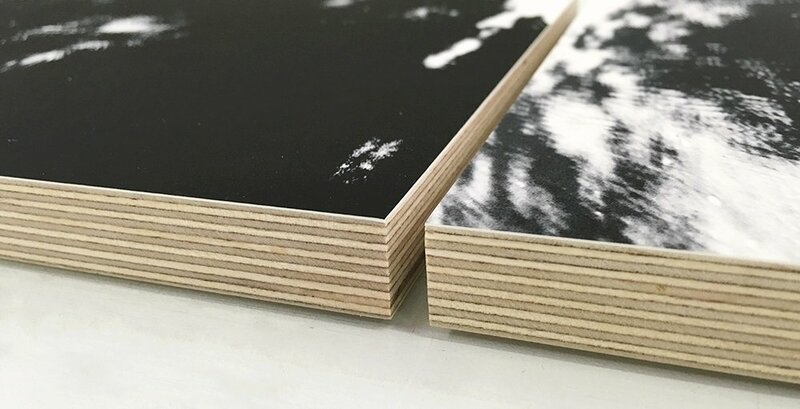 In addition to our mounting services, we offer recessed back-framing made from poplar for those mounted projects that are not going to be traditionally framed. Recessed back-framing is a minimalist approach that leaves the artwork exposed and appears to be floating off the wall once installed.